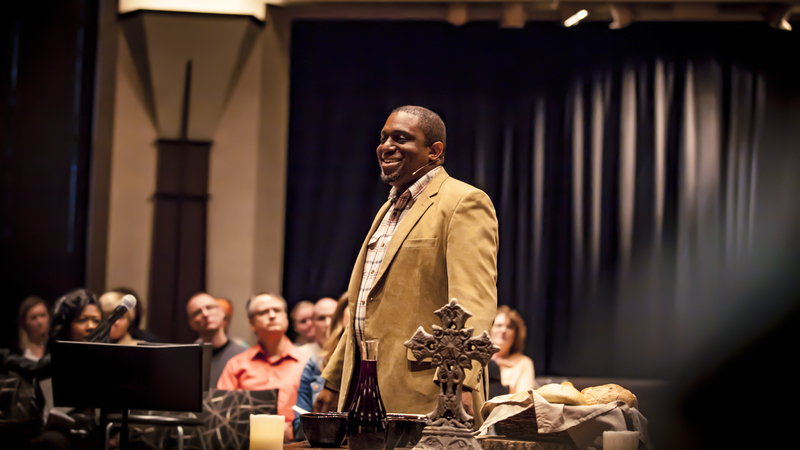 Last night our Eastertide series “Stories of Resurrection” continued with Stories of Resurrection in Race led by a new friend of The Practice, David Bailey. Marching on to freedom land! One of the things that has stood out to me most about David’s powerful message and call to resurrection, was his exploration and description of Jerusalem, Judea and Samaria in today’s context. In some ways, Jerusalem can be understood as South Barrington, the people we bump into every day. Judea, can be seen as the wider area of Chicago and greater America. Finally, Samaria, is represented by anyone we consider an ‘other’ who we know little about. These are the locations in which the Bible was situated, in which Christ called his followers to love one another with sacrificial and reconciliatory love across all walls and divides. It is so important to consider, in your context, how can you encounter and participate in racial reconciliation in your Jerusalem, your Judea and in your Samaria. We are called to pray “thy kingdom come, thy will be done on earth as it is in heaven,” and a crucial part of God’s kingdom is that it is made up of every tribe, every tongue, and every nation. A question that has been speaking to me since David’s message, is, in what ways am I willing to be taught by other cultures and nations? So often our reconciliatory work is limited to the help we can offer the other, without stopping to consider how can we receive help and learn from others? By contributing to one another and creating new cultural artifacts of reconciliation that honor both cultures, God’s kingdom is glimpsed here on earth. Finally, our evening ended as it always does, by culminating around the Table for communion. John reminded us all, that without the power of Christ’s resurrection offered to us through the cup and the bread, our efforts of racial reconciliation are thin. It is only through Christ, with Christ and in Christ that we are able to become one people, united around one savior who have resurrected us all from the power of death and evil. (1) This week, may we actively seek to learn from someone who doesn’t look like you. Though the books we read, the conversations we initiate, the people we follow on Facebook and Twitter, the friendships we engage in the neighborhood…let’s notice whether our influences are diverse or largely homogenous. And then let’s take an intentional step to expand that group. 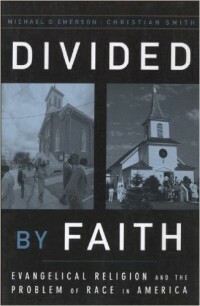 (2) “Divided By Faith: Evangelical Religion and the Problem of Race in America” by Emerson and Smith. We can’t recommend this book highly enough–especially if you are a white evangelical who wants to humbly consider the deeper story. Based on a survey of 2000 white Evangelicals, and in-depth interviews with over 200, Emerson and Smith offer a fascinating, devastating, and insightful invitation into the conversation. May each of you have eyes to see the resurrection that has happened, and that still happens all around us thanks to our Lord and Savior Jesus Christ.